Lots of quality newspapers (thankfully) still have dedicated arts reporters, and the tabloids cover celebrity with an almost religious fervour. But only the Daily Mail has an old-school showbusiness correspondent, who writes a double-page spread every Friday (called It’s Friday!) with the latest film and theatre news. And Baz Bamigboye, who holds that post, is a brilliant exponent of the art. He has built up plenty of industry contacts and that means he is often first with the news – sometimes even before it is ready for publication. There are countless stories of casts finding out that their shows are closing from the Daily Mail, before they’ve been told. There’s a weekly Friday ritual – that now starts being played out on Thursday evening as he issues teaser tweets of what’s going to be in his column. Sometimes these are genuine exclusives, that only he has managed to get. And fair dues: when he’s put in the legwork, the theatre industry has to work with him, not against him, or it would be wrong-footed by him publishing even earlier. That’s no doubt the reason why last Friday, for instance, the press was summoned to an 8.30am press conference at the National Theatre to hear Rufus Norris announce a series of new productions for 2017 and 2018. However, that morning we opened our Daily Mails to find a 900-word feature in Bamigboye’s column already telling us full details of one of them: Ivo van Hove directing Bryan Cranston in Lee Hall’s new stage version of the film Network. 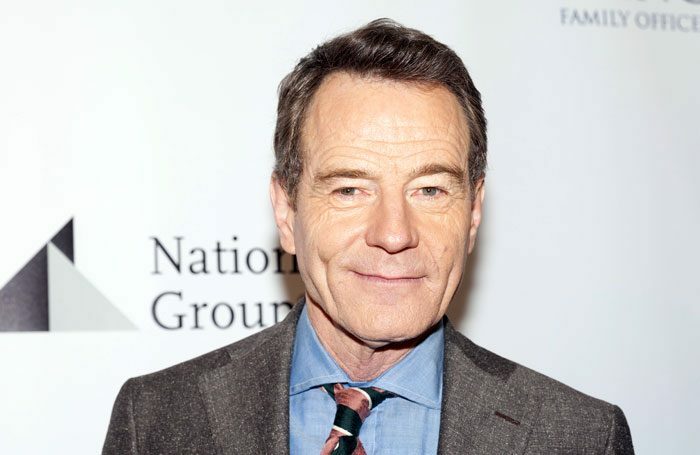 It’s not just that Bamigboye knew about it, though; he also had a full interview with Norris, telling him how it came about, and how he first began wooing Cranston to appear at the National at the Tony Awards 18 months ago. “It has been an on-off chase thing to make it work with all his numerous commitments,” Bamigboye reports Norris telling him. He also tells him how he saw a participant on the women’s march the previous weekend with a placard bearing the film’s famous line, “I’m as mad as hell and I’m not taking it anymore,” spoken originally by its lead character, a news anchor. I know how that TV newscaster feels. So did several journalists who had made the 8.30am arrival at the NT (not least the critics who had been working late the night before; Sam Marlowe from The Times and I had both been on a train that arrived in London just before midnight from Milton Keynes, where we’d been reviewing Thoroughly Modern Millie). A couple of news reporters from national organisations rounded on Martin Prendergast, the NT’s director of communications, and I also challenged Vicky Kington (his head of press), the theatre’s executive director Lisa Burger and the assembled team of independent producers who had developed the show and taken it to the NT. Of course it was their job to maximise the PR opportunity this announcement presented, and to work with Bamigboye to make sure they controlled it somehow. It’s not their job to worry about other journalists who get scooped. Bamigboye’s tweet about the news the previous evening was even turned into a story by New York’s Deadline, and I received an email at midnight on Friday from my editor at Playbill (the American news website for which I am the London correspondent) asking if I knew about this. I was, in fact, already in bed, but no, I didn’t. Bamigboye also broke a series of other theatre stories on Friday: the preliminary West End casting for Hamilton; casting for a new Debbie Tucker Green play at the Royal Court; a new musical about the life of Dusty Springfield that is in development; and the casting for The Life at Southwark Playhouse. Press releases subsequently arrived for each of these announcements at several points between 9.30am and noon. The release for one more casting story Bamigboye had scooped – for Woyzeck at the Old Vic – didn’t arrive until after 10am on Monday. What she’s referring to is the fact that Bamigboye’s column goes back a long way, to a pre-internet era when newsprint – and his column in particular – was the way shows were announced. But nowadays an exclusive story holds for all of 30 seconds, until someone can retweet it and (as the Mail Online itself specialises in doing) repurposes the story in its own words.